Vaishali is a very prime location in ghaziabad. Metro station is zero kms from vaishali. This area has seen a tremendous growth in recent years. Vaishali is closely connected to Indirpuram, Kaushambi and Vasundhara. Vaishali has good Infrastrucutre with good roads, schools shopping Malls, and Local Market. Ansal Plaza oldest of shopping malls in ghaziabad is located in Vaishali. 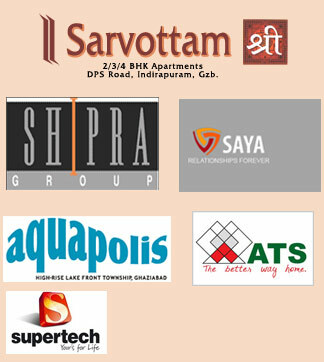 We have good option for flats in vaishali as well as commercial office spaces.